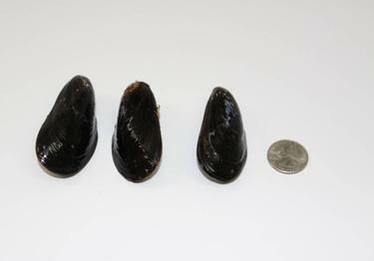 Mussels have a distinctive, rich flavor with just a slight brininess. Their beautiful black shells contain plump, orange colored meats and enhance any dish with their iridescent hues. Easy to cook by simply steaming with some wine, beer or stock or by adding to a curry, stew or pasta dish. Their tasty meats also work well as part of a cold salad. 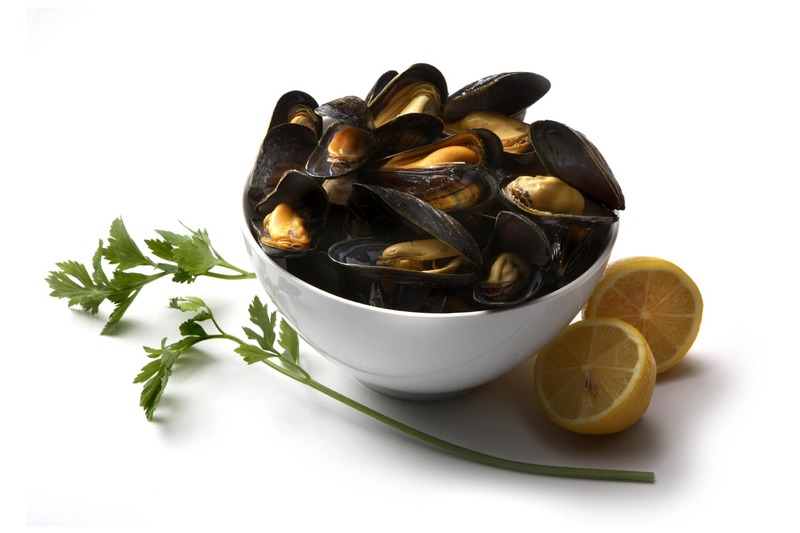 If you’re cooking mussels in beer or wine, you have a natural pairing! 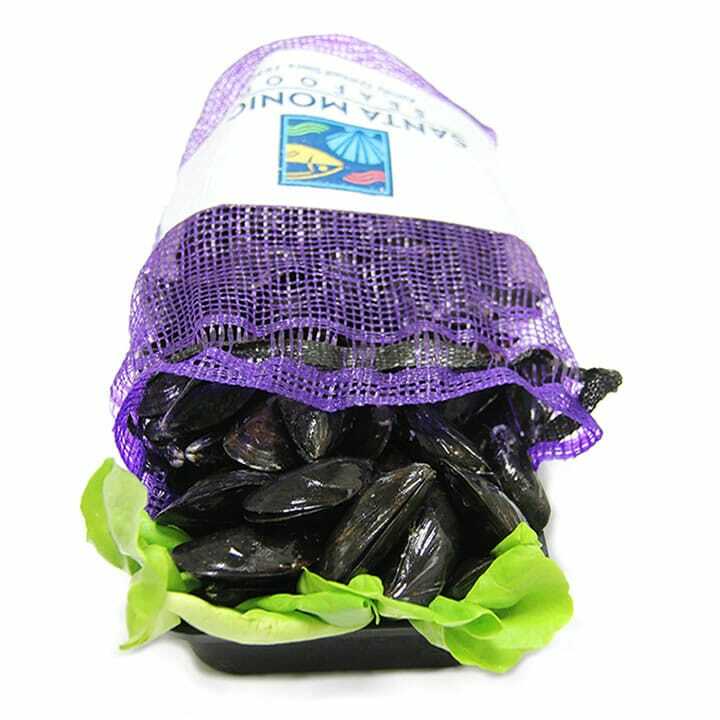 Steamed mussels are one of the iconic dishes of Belgium, so if you have any Belgium beers on your menu, that’s another easy suggestion. 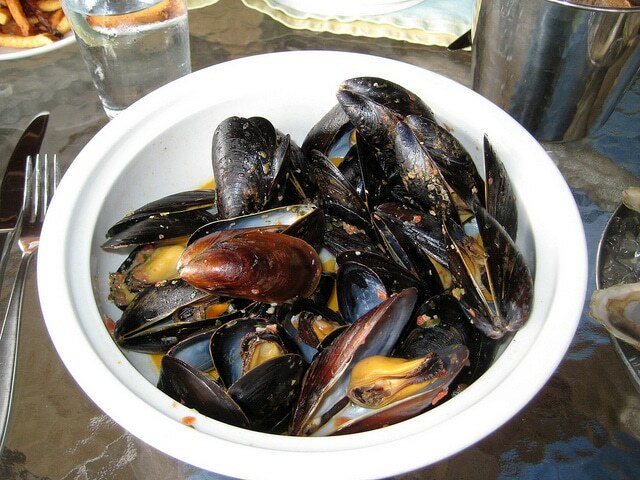 Mussels have a rich, full flavor and can stand up to even the biggest beers. Make sure you offer plenty of bread – sometimes the best part of a mussel dish is the leftover broth! Mussels are a fun dish to share – very romantic! They are also rich in vitamins and minerals and contain the most omega-3 fatty acids of any shellfish.